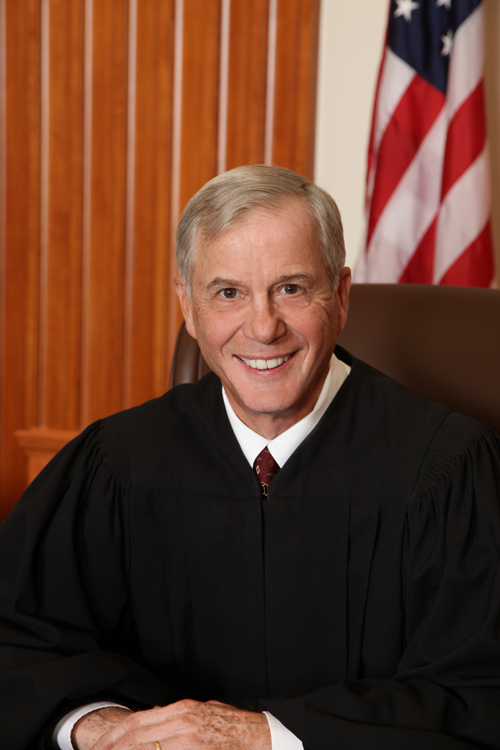 Judge Thomas Herman is a graduate of St. Xavier High School, Class of 1967, the University of Cincinnati, Class of 1972, and the Salmon P. Chase College of Law, Class of 1977. He was Assistant Prosecutor for Clermont County for 6 years, and served as Assistant Public Defender in Clermont County for 5 years. He began his judicial experience as a Judge Pro Tem of the Clermont County Court. In 1991, Judge Herman was elected to the Clermont County Municipal Court, where he presided from 1992 until his election to the Common Pleas bench in 2010. While on the Municipal Court, he was elected by his peers as Administrative Judge from 1994 to 2000. Judge Herman was elected to the Common Pleas Court in 2010 and retired from that bench in December, 2016. During his career he has been a Guest Lecturer in the Criminal Justice Program at the University of Cincinnati. He has been honored by Mothers Against Drunk Driving (MADD), the Boy Scouts of America with the Meritorious Service Award, Cincinnati Enquirer as a Hometown Hero, Clermont Co. Sheriff’s Department D.A.R.E. Program, Clifford Skeene Award for the Best Probation Department in Ohio, and National Association of Counties (NACo) Award for Mentally Ill Offenders Program. He is a Founder of the Clermont County Bar Association Scholarship Fund. Judge Herman has been married for 40 years, has six children, and nine grandchildren.